The SunCar simulation enables you to experience a day of trading in financial markets. During the simulation you will learn about news concerning the SunCar company. You will be able to buy and sell shares of the company via the SimTrade trading platform. In this simulation, you can send two types of order to the market : market orders (MAR) and limit orders (LIM). Your goal is to maximize your trading gain. At the start of the simulation, you own an account worth €30,000 in cash and 300 SunCar shares. The duration of the simulation is initially set to 12 minutes (which corresponds to a 24-hour day). Using the TimeLine, you can increase or decrease the simulation speed at any time. You must perform the simulation up to 100% for it to be considered as valid. You can restart the simulation as many times as you wish. Your participation to the survey at the end of the simulation (40 points): the answsers to this survey (not graded) will be used for a research on the behavior of individuals about the analysis of information. Suncar designs, produces and sells low-speed electric vehicles for city use. The batteries of these solar powered cars (roof equiped with photovoltaic panels) can, if need be, be refilled at public charging points. SunCar headquarters and manufacturing plant are located in Cergy-Pontoise, Ile-de-France. The company was founded by Jacques Dallara in 2001. Its team of designers, engineers and specialists in renewable energy create innovative vehicles that meet the regulatory requirements of the European market. The first prototype came out less than a year after the company’s launch and the production of the first vehicle - Suneo - started a few months later. The company’s high growth rate has been boosted by generous public policies and funding, and by consumers’ increasing demand for this type of vehicles. Due to a severe illness, Jacques Dallara, the CEO, will be relinquishing his operational duties in the near future. At midday, SunCar is expected to announce the name of Jacques Dallara’ successor as head of the group. The two candidates for his replacement are: Anna Farrell and Henri Villa. 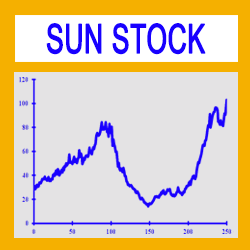 The stock price of SunCar (ticker symbol: SUN) has steadily increased since the initial public offering (IPO) in 2005. Its price has nearly tripled from its introductory price of €35. Stock price fluctuations have been associated with changes in governmental policy, especially those related to environmental issues, such as the development of electric supply infrastructure throughout France. The stock price trend is bullish, reflecting changes in consumers’ preferences and changes in individuals' behavior as well as the expectation of more taxes on gas and diesel (vote of a new tax in the near future). The SUN stock is currently priced around €100. Two major events are scheduled to take place today regarding the Suncar company: first, the choice of the person who will succeed Jacques Dallara as head of the group will be made public; second, the government will announce the results of the public tender for the purchase of electric cars by the French state. At midday, the company will disclose the name of the successor of Jacques Dallara, Chairman and CEO of the company. He is suffering from a serious illness and is therefore forced to leave his operational duties of CEO. The recruitment process by a headhunter came to an end and the two candidates are: Anna Farrell and Henri Villa. Depending on the result of the public tender, the price of SunCar shares should fluctuate strongly upwards or downwards. According to the market consensus, if SunCar wins the bid, this will result in substantial profits and the stock price will then stand at around €120. If SunCar loses the bid, the company will remain subject to the evolution of the business cycle and its stock price is expected to fluctuate around €80. During the trading day you will therefore learn important news regarding the future of the company. You should be able to anticipate the impact of these news for the evolution of the company and its stock price. 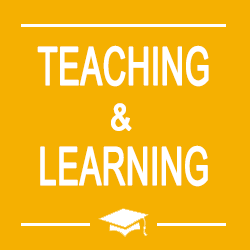 Teaching objectives: the SunCar simulation will enable you to become familiar with the key concept of market efficiency and how the news flow impacts the evolution of financial assets market prices. You will also discover key determinants of success for electric vehicle manufacturers. 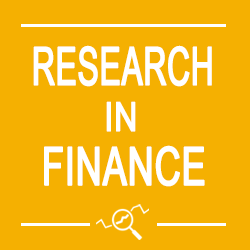 The data regarding your trading activity during the SunCar simulation will be used as part of a behavioral finance research project developed by Prof. Longin and Prof. Santacreu-Vasut, at ESSEC Business School. The goal of this research project is to investigate the behavior of individuals in response to information flows. This project has benefited from the support of Virginie Descoutures via the Center for Innovation and Pedagogy Research Paris (CIRPP). The data of the simulation and the survey will be used anonymously.